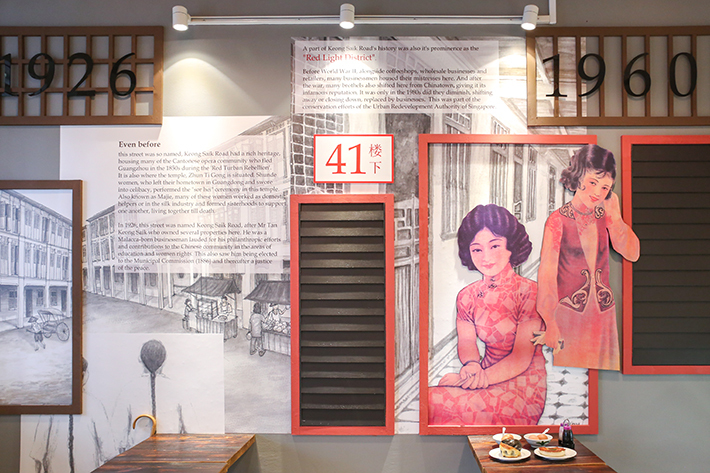 Upon stepping into Keong Saik Bakery, a wave of nostalgia swept over us when we noticed that the walls of the eatery were covered with wallpaper that spoke about the heritage of the Keong Saik area. We were also greeted by the beautiful aromas of freshly baked pastries. 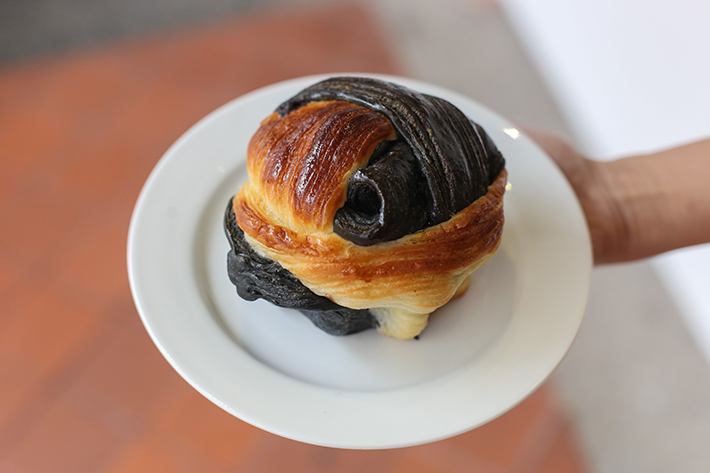 Thus, we could not help but order the Sor Hei (S$3.20), a black and white Danish pastry. 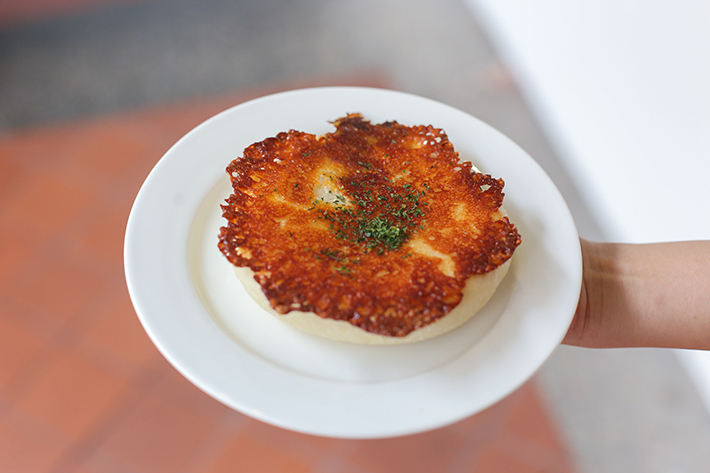 Did you know that the Sor Hei was named after the Cantonese ceremony for Ma Jie? 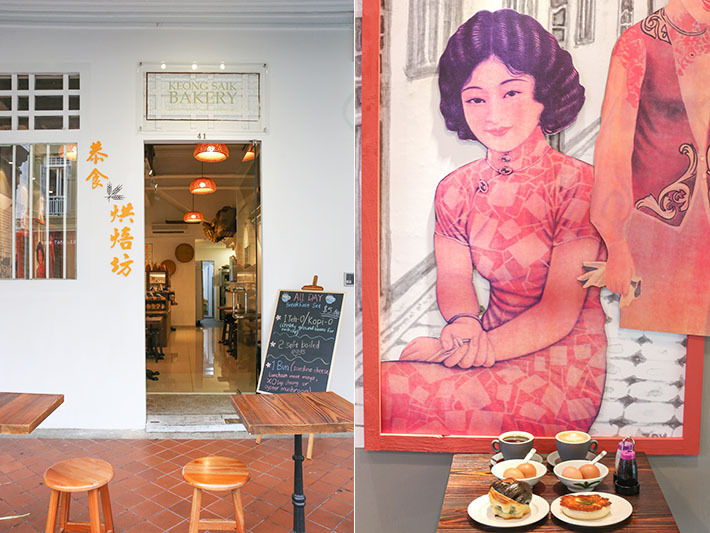 This is actually part of Keong Saik Bakery’s patronage to the previous owner of the shophouse on which the eatery occupies. Crispy, light and giving off a lovely smell of butter, we were delighted when we pulled open the Sor Hei and found melted chocolate chips within the pastry. This reminded us of a chocolate croissant and it was just as satisfying too. 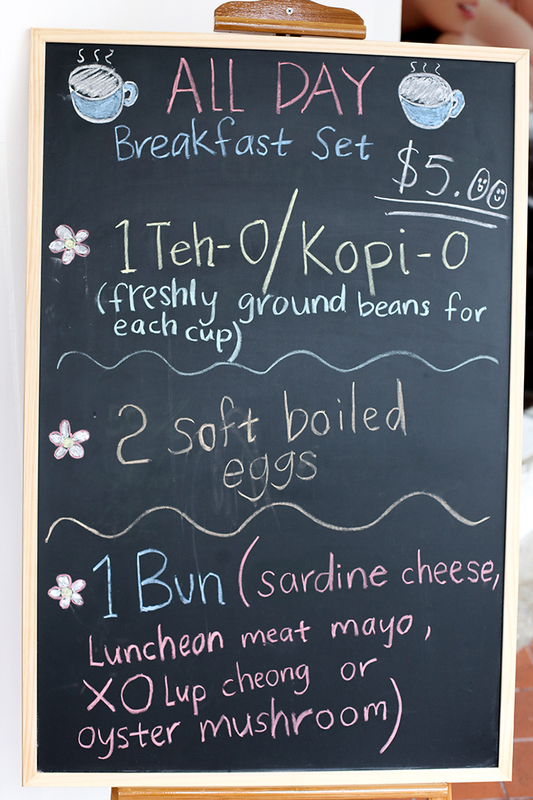 The all-day breakfast set (S$5) was another item that we tried. Choose your bread from the self-service bread section and pair it with a Kopi O or Teh O. 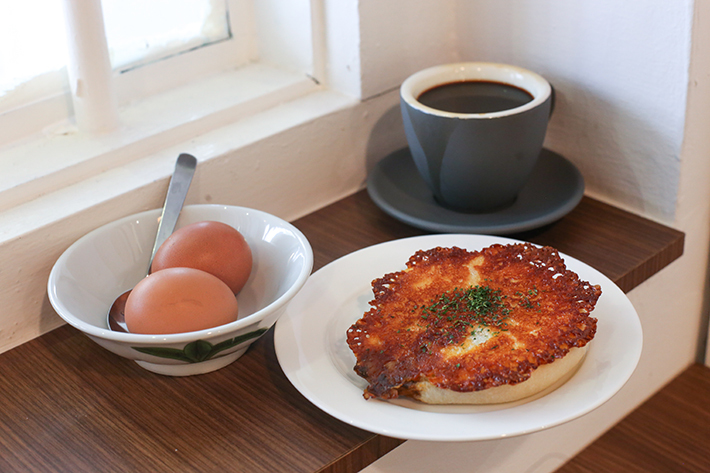 The all-day breakfast set also comes with our favourite soft-boiled eggs! We went with the Sardine Cheese (S$2.50) which comprises of chilli tomato sardines, onions and mozzarella cheese in French dough. Albeit slightly underwhelming in taste, it still went well with the fragrant Kopi O. If you intend to visit during tea time, signature cakes that you can try include the Gula Jawa Sticky Rice (S$6) and Chendol Delight (S$6.50). 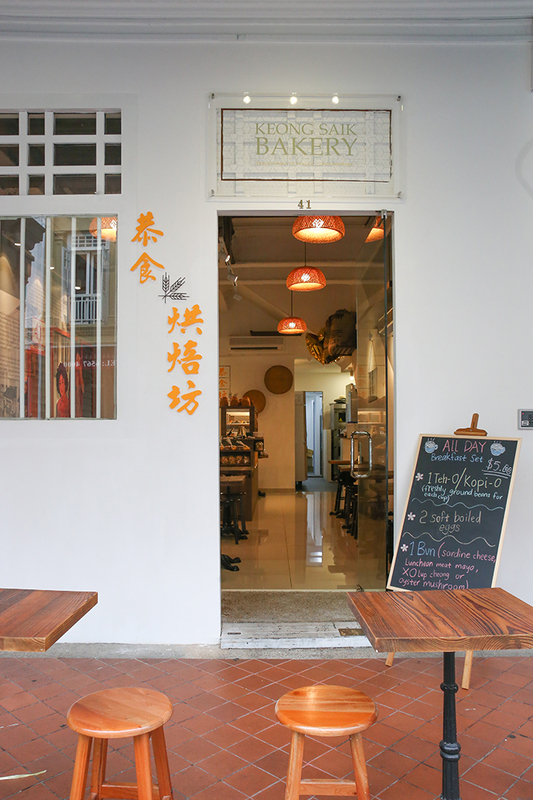 The next time you are searching for a new place to have breakfast, why not give Keong Saik Bakery a try?